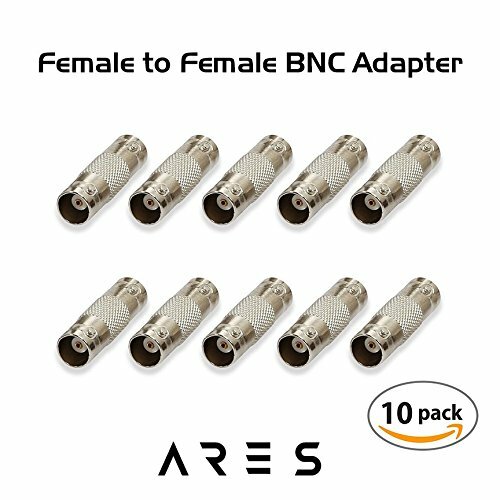 ARES BNC female to female couplers go through rigorous quality control to ensure high quality products that provide secure connections. 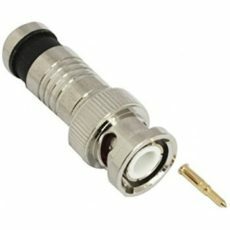 This BNC adapter provides the ability to interconnect two BNC devices with male interfaces. This is commonly used to provide a coupling between two cables with BNC male connectors for when you need to extend the length of your BNC cables and can be used to join two male BNC plugs, or as gender changers. This BNC coupler is constructed of nickel plated brass for increased corrosion protection, and provide a clear video feed. 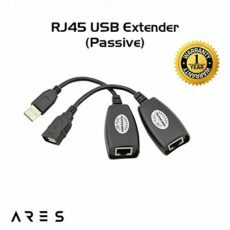 Precision-made connectors ensure long-lasting quality. Can be used with professional video surveillance equipment and CCTV cameras. 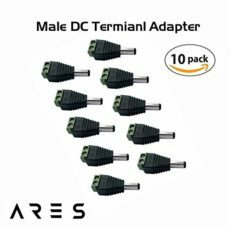 To use this BNC connector, simply insert one male connector into each end. Ultra Clarity Cables products are backed by a limited 1-year warranty should any issue arise. For questions or concerns please contact our friendly, USA-based customer support team. 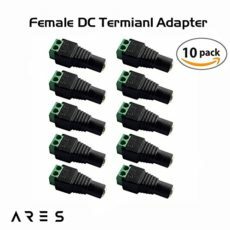 Item Specifications: Connector end 1: BNC female Connector end 2: BNC female Length: Approx.32mm/1.26inch Diameter: Approx. 10mm/ 0.39inch Package Includes: 10 BNC female couplers.